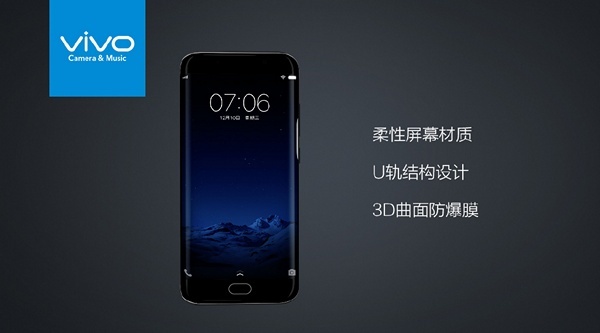 Back in October, Xiaomi has announced a dual-edge screen phone, Mi Note 2, in China. However, for different plausible reasons, it decided not to launch the phone in India. If you are disappointed with the decision, you may be thrilled to know what is coming to India in Jan 2017? Vivo is planning to launch its flagship Vivo Xplay6 in India sometime in Jan 2017. If everything goes according to plan, it will be the second phone with a dual-edge screen to be launched in India after Galaxy S7 Edge, as well as, the third phone with 6GB RAM to be launched in India after Oneplus 3 and Oneplus 3T. Also, it comes with a trendy dual-camera feature. In a nutshell, it is a mouth-watering combination that will catch the eye of many users. Front Camera with 16 MP sensor with soft Flash. Sensors like Finger print, proximity, Gyro,Ambient light sensor, compass.. Non Removable Li-ion battery with 4080 mAh power. The phone was launched in China for a price of CNY 4498 ( approx INR. 45,000), which makes it cheaper than Galaxy S7 Edge. We are expecting it to be released in India with the similar price tag in Jan 2017. Unseating Galaxy S7 Edge from its position may be a herculean task, but with proper implementation of dual camera setup and reliable OS, it will have a bright chance to overshadow S7 Edge. Let us know in the comments section whether you will prefer Vivo Xplay 6 to S7 Edge?